It's taken me a while to master the afternoon nap, but I think I've cracked it and I'm gratified to read that it's actually rather good for me. 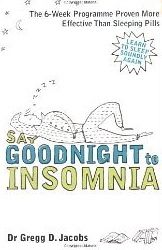 I've just read a really excellent book called Say Goodnight to Insomnia with the strap line, Learn to sleep soundly again. It's full of very practical advice and comes with the clout of Dr Gregg Jacobs, the Harvard clinical psychologist who is its author. It is a six week self help program looking at the physiology of sleep and then a sequence of chapters revealing the best way of giving yourself a fair chance of cracking the sleep thing. And if the book statistics are to be believed, 60% of us report the problem insomnia on a regular basis. If I had time I'd summarise the book, but to get real benefit from it you really need to work through it yourself. However one little aspect caught my, 'to nap or not to nap'? According to Jacobs, the universal tendency to nap of toddlers and the elderly in the afternoon, the afternoon nap of the siesta cultures and recent research, all lead to the suggestion that we are hard wired to nap sometime in the early afternoon. Now this is far from practical for most of us most of the time, but I do manage it most Tuesday afternoons, which is one of my longer and busier days. It seems there is a natural dropping of our body temperature in the early afternoon (he explains earlier in the book the importance of body temperature fluctuating over 24 hours). and the body is consequently 'prepared' for sleep in a way which emulates, albeit in a weaker way, the impetus too sleep at night. And what of health benefits? 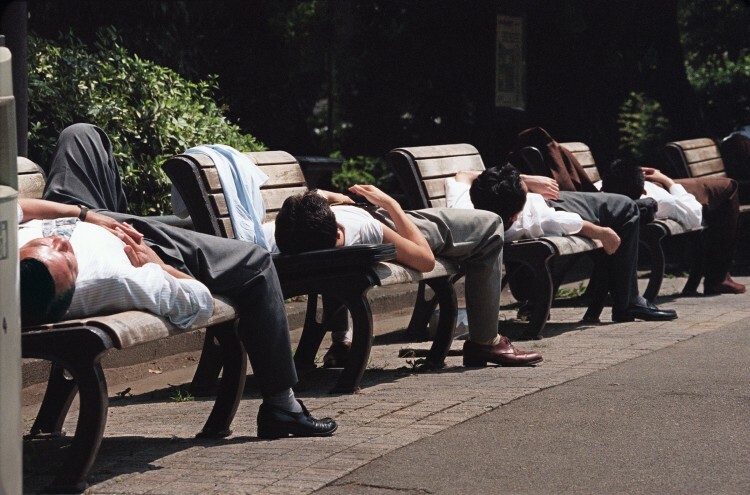 Sleep researchers in Greece have found that napping correlated with a 30% drop in coronary heart disease (although in the current crisis presumably it had an adverse effect on the economy!). Other research suggests that a nap of just 10 minutes can enhance alertness, mood and mental performance after a night of poor sleep. Practically he suggests taking a nap for no more than 40 minutes and not to take it after 4pm, otherwise you may enter deep sleep and feel groggy for half an hour or so when you wake and it will have an adverse effect on the subsequent night's sleep. Cambridge scientist Paul Martin in his excellent book Counting Sleep, suggests napping for no more than 20 minutes for similar reasons. I have followed this latter advice and so drive to the local sports ground car park, read a few pages of a book then set my phone timer for 20 minus, recline in the drivers seat and then...nap! It really does seem to work. Martin notes that you do not have to feel fatigued to benefit from napping. And Jacobs says that there is even some evidence that a mid-afternoon rest-even without sleep- can improve mood. That's good to know because many people say that they simply wouldn't be able to fall asleep quick enough to benefit from a 20 minute nap. All I can say is that practice worked for me. It's rather daunting to think that 60% of the patents I will see tomorrow have problems with sleep-and as Jacobs explains at length, sleeping tablets are generally not the answer. I'll certainly be recommending his book. Whoops have written to much I'm off for a nap. You could catch me napping any day of the week or when your preaching on a Sunday!